Rodent-Proofing Your Home for Fall - Yes Pest Pros, Inc. Rodent-Proofing Your Home for Fall - Yes Pest Pros, Inc.
Fall’s cooler weather marks the end of the long growing season and the start of the long winter’s rest. It is a time of change that is felt in both the human and the animal worlds. All creatures, human and animal alike, seek to find a warm, safe place to ride out the chill of winter. This season is a perfect time to exercise pest and rodent control measures so ensure no rodents take up residence in your home. When the weather cools, mice and other rodents start looking for different nesting sites. Their summer burrows will no longer be sufficient to protect them from the winter cold. A home’s foundation or attic will be a tempting place to a rodent. It’s warm and protected and typically even offers a source of food. Rodent-proofing will help prevent this invasion rather than having to turn to pest extermination measures. Mice and other rodents are very crafty about finding an access point into your home. Their bodies are long and flexible, giving them a unique ability to pass through even very small openings. A fully grown rat, for example, can slip through an opening the diameter of a silver dollar. A mouse needs only ½ inch. There are many places in a home with space enough to allow a rodent to enter. You will need to find and seal them all. 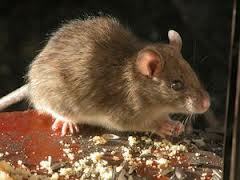 Foundation vents and eaves are two of the most popular spots for rodents to get inside your home. Patch holes and cracks in the foundation and repair breaches in screens and covers. You may want to consult a Granger pest control agent for advice or assistance in this task. Rodents will always go where the food is. If you cut off their food supply, they will be forced to forage elsewhere. This will make you home a less attractive nesting site. Both your home and your garage need to be rodent-proofed. (Many homeowners are careful with their own food in the kitchen but forget to look for food sources in the garage.) Use tightly sealed containers to protect your food. Sweep crumbs daily and remove trash quickly. Use the same techniques in the garage. Think about all the potential food sources for a mouse like grass seed, pet food and wild bird feed. Use containers to protect these substances and check them often for signs of gnawing. If you see evidence of current or past rodent infestations, it’s time to call in a commercial and residential pest control expert like Young Environmental Solutons. Your pest control pro can take the necessary steps to exterminate any current pests and prevent new ones from moving into your home. He can find small entry points that a home owner may miss and he knows how to safely get rid of any rodent that have snuck inside. Keeping your home safe from flea and tick-bearing rodents should be a priority in the fall. By preventing and exterminating them now, you will be protecting your home and family all winter long.